Give your guests the chance to cheers to their favorite team when you print Football Purple Drink Tickets for your next sporting event. 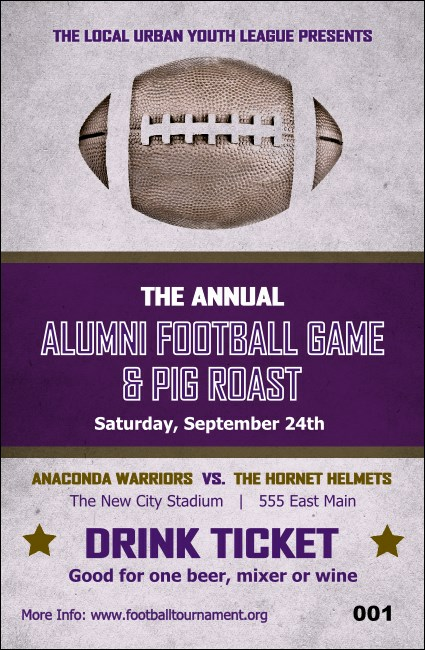 These tickets are classic yet bold with a purple stripe in the center and twelve lines of text for all your game details. Keep your event secure with sequential numbering on each ticket. Score the right ticket at TicketPrinting.com.